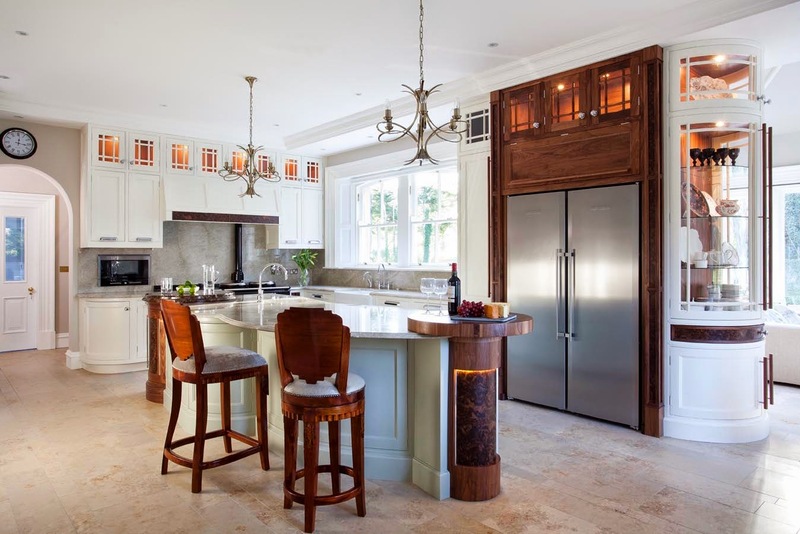 Having a designer kitchen is all about having the best, something that is well considered and effective in creating a symbolic reflection of what you like and what you aspire to be. This design certainly ticks all the boxes in terms of impact and wow factor giving the owner the pleasure of showcasing their individuality. 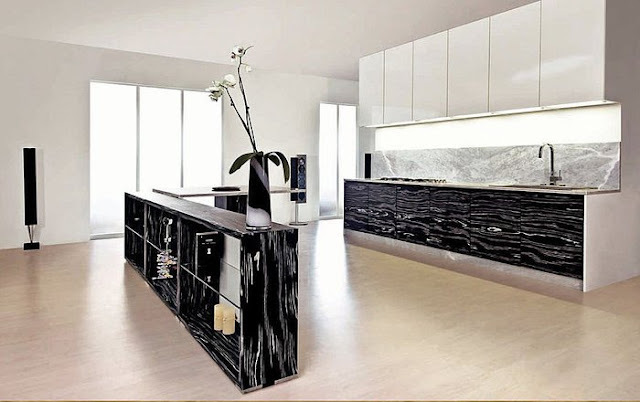 The use of a black wood veneer with a super strong grain pattern framed with polished white lacquer and carrara marble means that any onlooker will take a second glance. This is a designer kitchen and could have you salivating with expectation as the grain pattern used on the black doors reminds The Mogul of a piece of raw ribeye steak which is just about to be tossed onto the griddle. But is the grain pattern too rarely powerful and inconsistent to encourage those vegetarians in the audience to reawaken their primeval carnivore instincts? It might be! !